With the Saber Advanced you get endless functionality and durability. Choose between temples or an elastic headband depending on the activity you engage in, and do so in comfort with the 360˚ Nosepiece that can be adapted to all nose sizes and shapes. 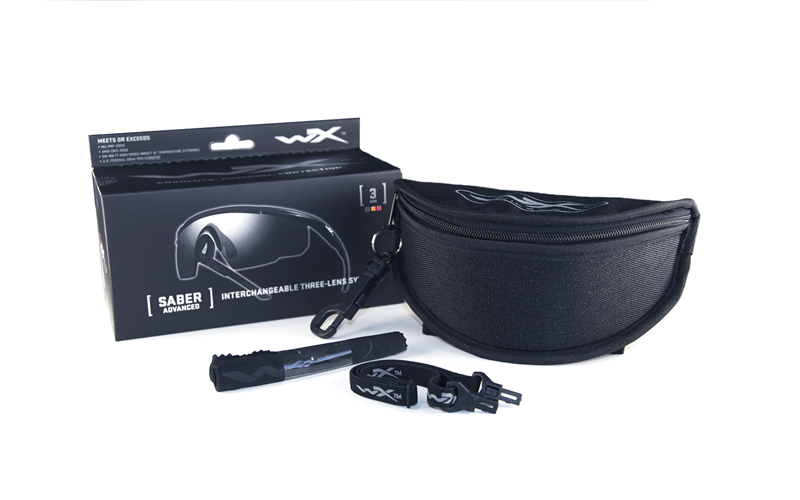 5 different colored lenses are available for this model, that all meet the highest ballistic rating in the world offer premium protection from projectiles travelling at speeds up to 910 km/h, and they make the Saber Advanced adapt to different sports and light conditions, so you never have to settle with average. Good in medium – low conditions. Increases contrast as it blocks blue light. Comfortable for longer wearing-times. Sharpens contrast and brightens targets. Improves visual depth. The polycarbonate lens is shatterproof and the surface is protected by scratch resistant layers. Blocks 100% of the sun’s harmful UVA and UVB rays. Shatterproof Selenite™ Polycarbonate Lenses that Meet the MIL-PRF-32432(GL) Ballistic Standards. ANSI Z87.1-2010 High Velocity and Mass Impact Standards, and EN 166 FT at High Speed at Temperature Extremes Standards, and US Federal OSHA 1910.133(b)(1)(i) Standards. 100 Percent UVA/UVB Protection with Distortion Free Clarity. T-Shell™ lens coating resists scratching in extreme environments. Adjustable Take Flight Nose Piece Accommodates any Face/Nose Bridge. Fully Adjustable Telescoping Temples Fit a Wide Variety of Head Sizes, provide a Low Profile, and are Night Vision Goggle (NVG) Compatible. Compatible with Wiley X's Prescription Lens Carrier (PTX), sold separately.